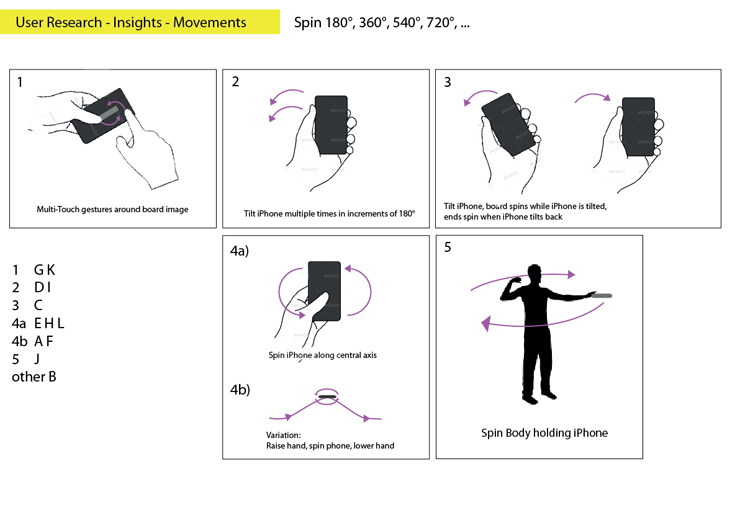 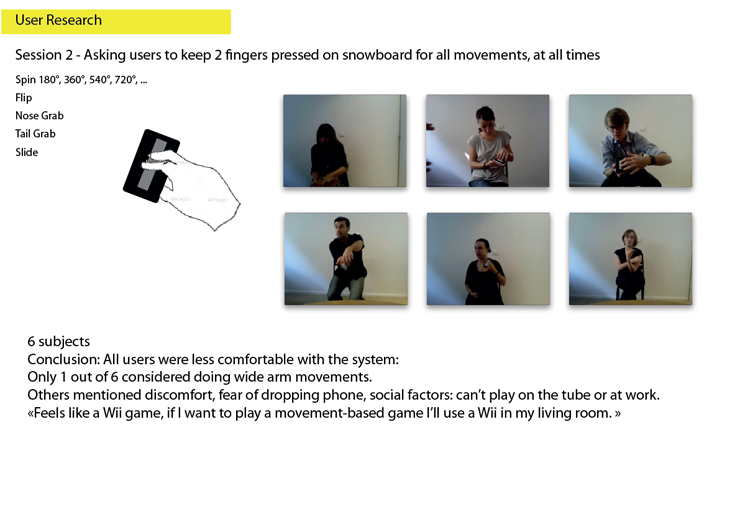 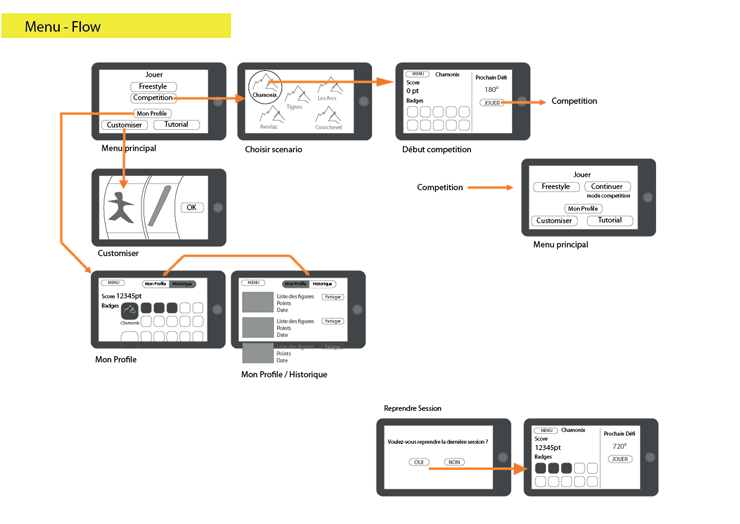 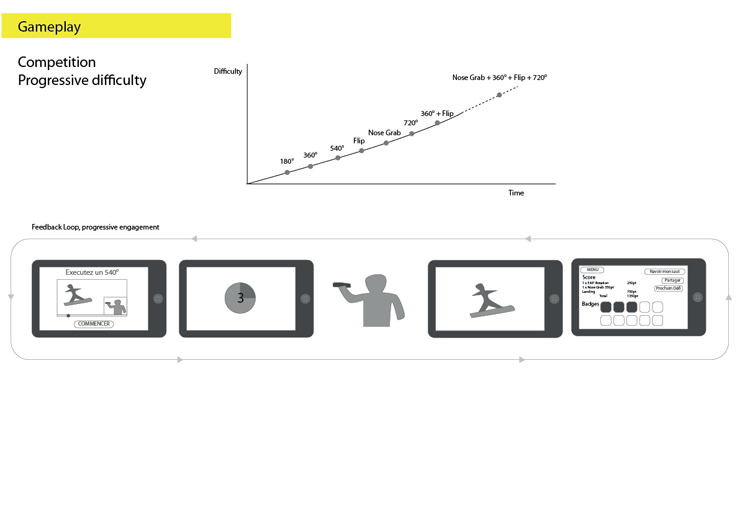 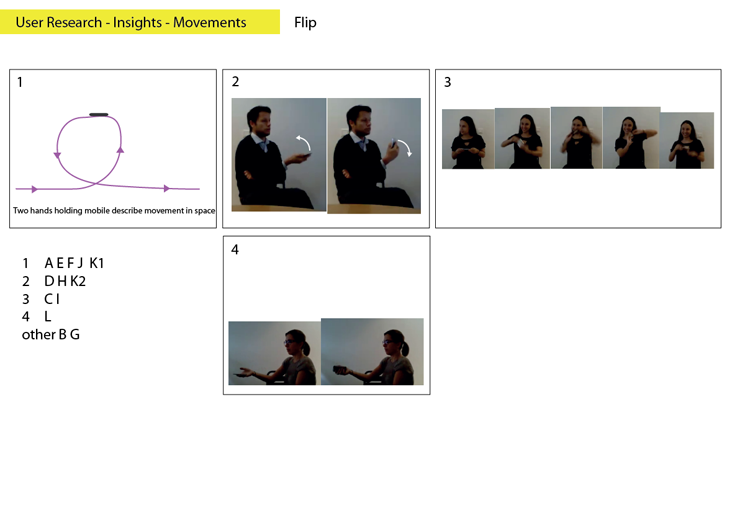 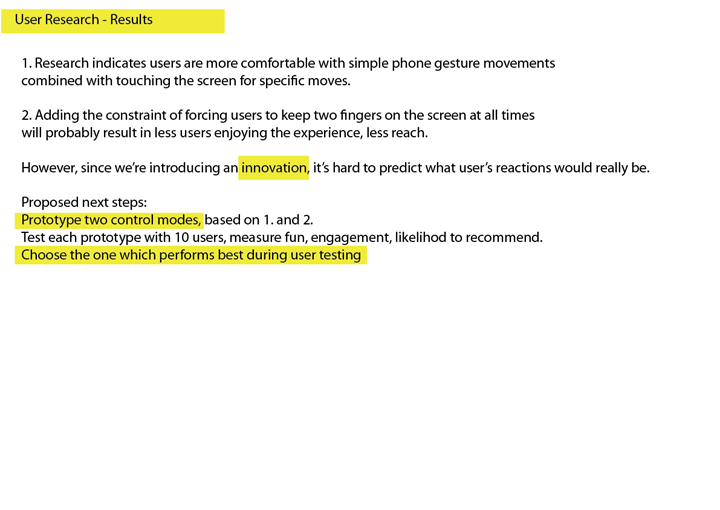 Based on the motion input work done for the Nissan Kinect installation, the idea was to use a mobile phone's gyroscope as the input method for a snowboard game, for an unspecified client. 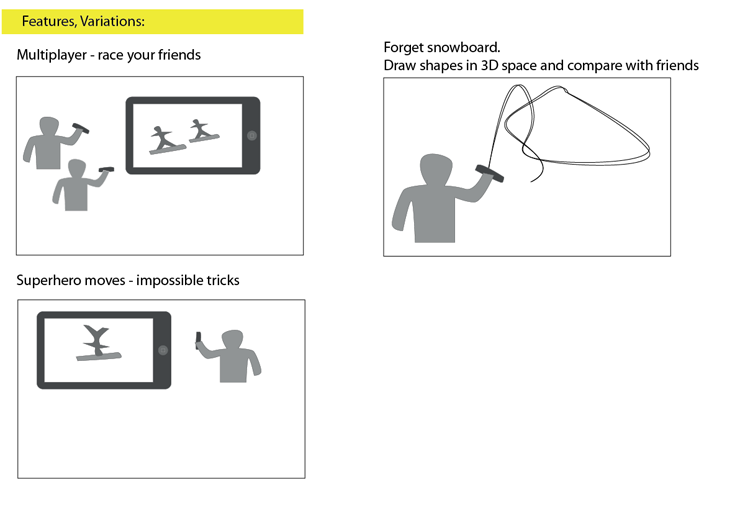 Users would move their mobile in space to describe the movement of a snowboard, perform tricks and watch the resulting movements on the screen in the form of 3D animations. 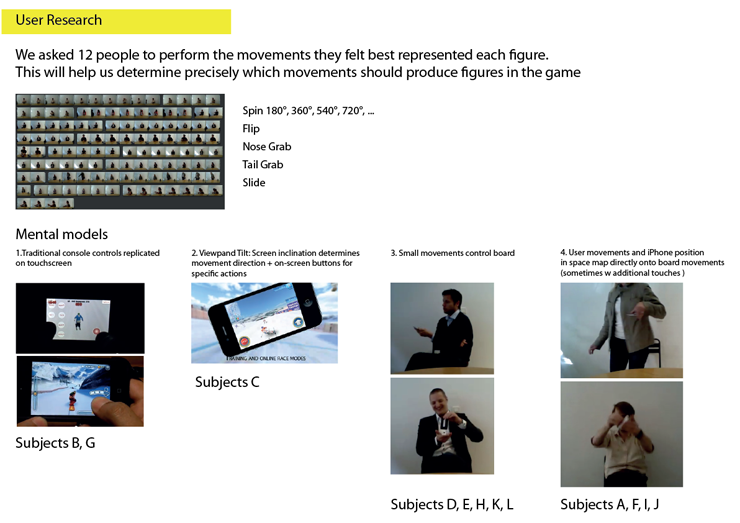 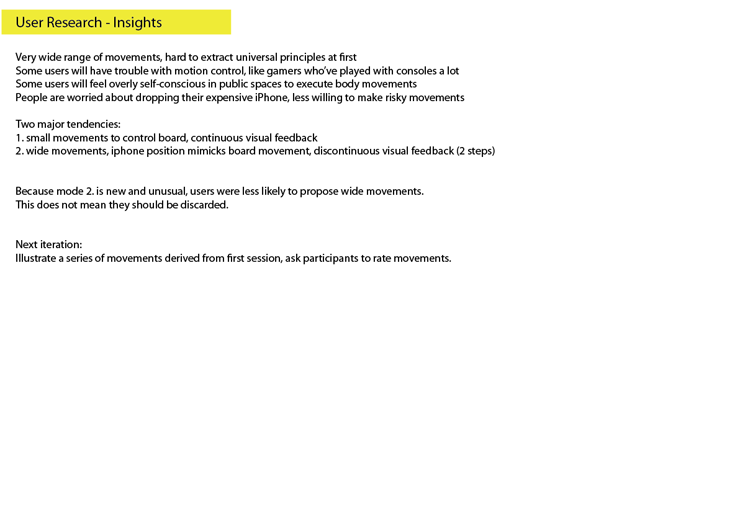 I did some work for the gameplay, menu system and, crucially, conducted a series of user research sessions to determine which user's body movements would map more naturally to the game figures. 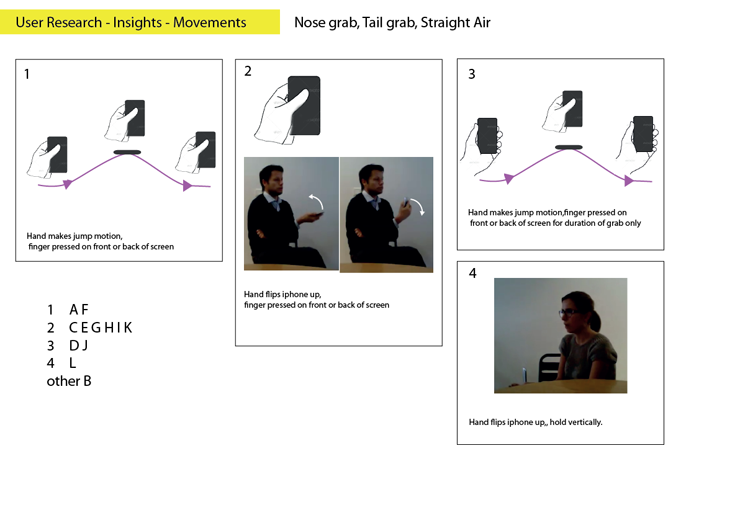 Motion inerfaces pose a series of challenges as there are few establish standards, and affordances are not always obvious, so extra care is necessary to create a usable and enjoyable user experience. 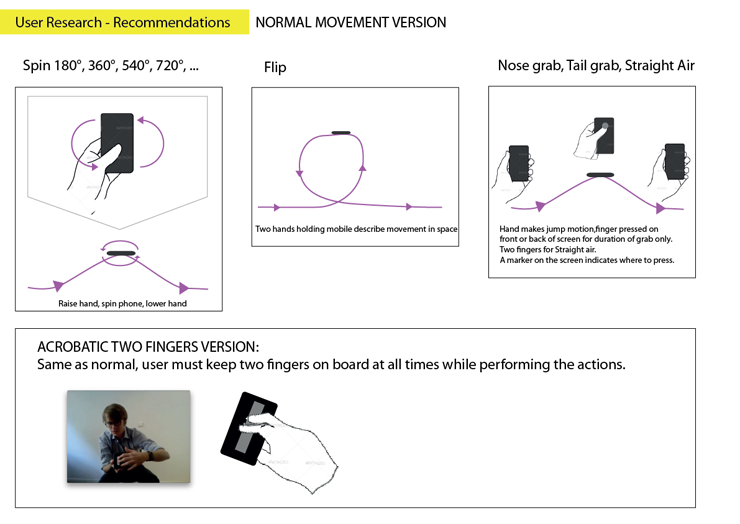 The creative team was informed of the recommendations, and a prototype is being worked on.